EXCLUSIVE THRIVE COMMUNITY EVENT STARTING MAY 1ST! THRIVE JOURNAL: PURPOSE NOW THROUGH MAY 1! We are hosting 12-week experience through a private Facebook group for parents who want to grow together! In our PRIVATE FB group we will post encouraging posts each day, and even support you with live interaction and videos throughout the three months to help your family grow in orderliness, assertiveness, and purposefulness. 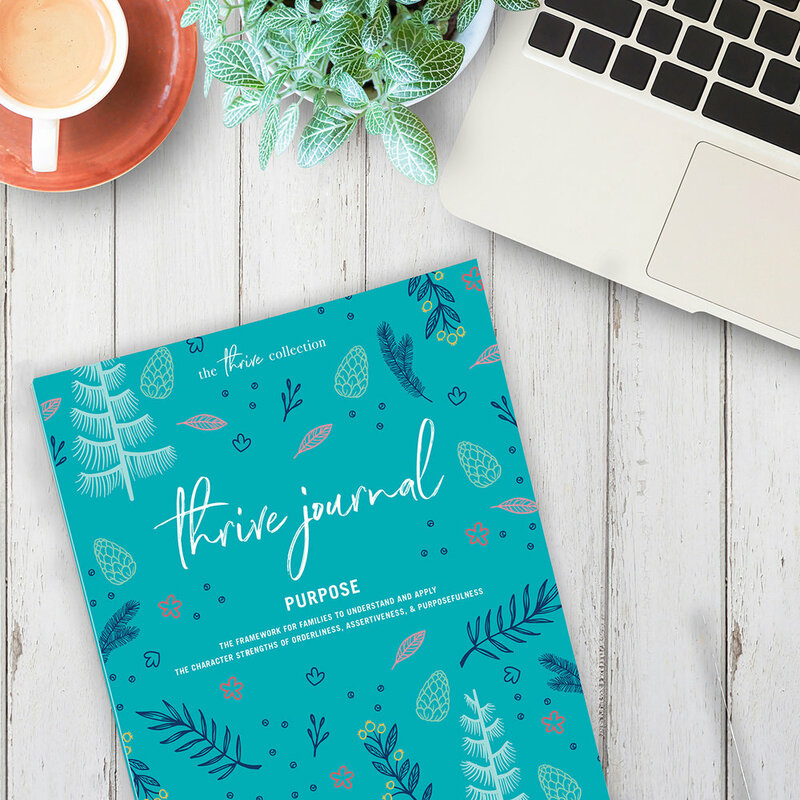 We are thrilled to be releasing The Thrive Journal: Purpose! We created this for parents who would like to grow their family in areas of unity, joy, and self confidence. This journal has everything you need to jumpstart your parenting strategy in a whole new way with guided practice, enriching lessons, and child-friendly tools.